Elegant bridal hair fascinator headpiece custom made just for you! 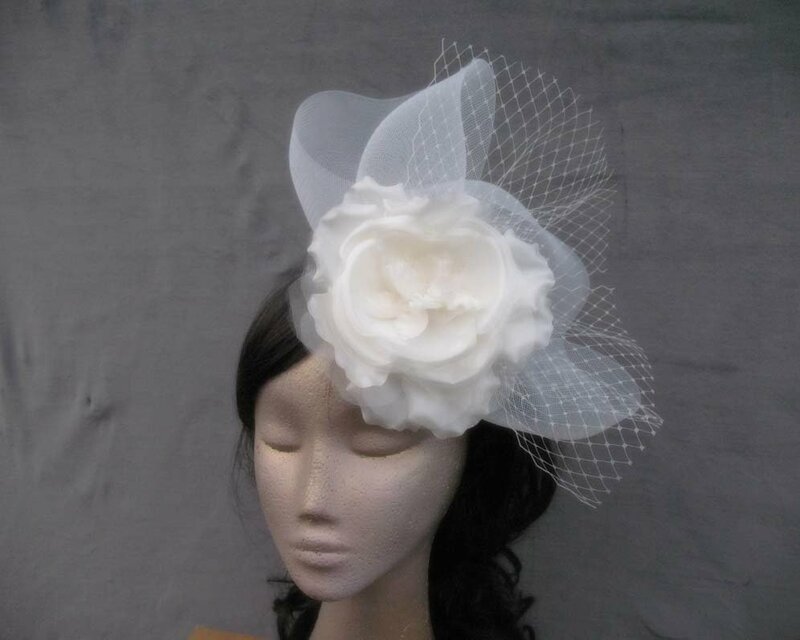 Designed with wedding in mind, this elegant white bridal fascinator features large flower with crinoline and is made to order by us in Melbourne. This fascinator has comb and elastic for better fit. Please allow up to 2 weeks for creation of the fascinator. If you need hat sooner, please specifiy the date you need it by in order comment. We may be able to make it faster. We only process order if we can supply!